In 2008, Zimbabwe was engulfed by a devastating cholera outbreak resulting in an unprecedented 98,000 cases and over 4,000 deaths. Cholera, however, was much more than a health crisis. The disease signified the nadir of Zimbabwe’s catastrophic political and economic meltdown and became the subject of significant international attention. In this article, I examine the political discourse surrounding cholera and I demonstrate the ways in which the outbreak was framed as a global ‘health security’ concern. I argue that the securitization of the cholera epidemic actually hampered rather than bolstered political and global health responses to the outbreak. 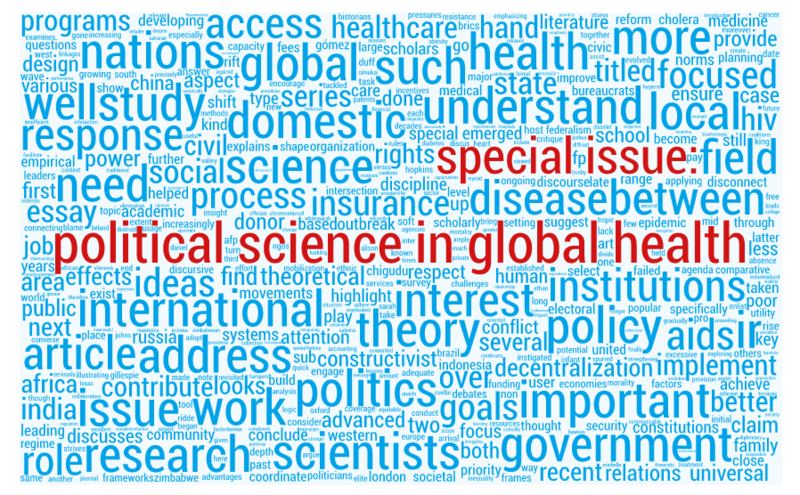 I suggest that political science – through theoretical and historical insights – can help us evaluate the conceptual and normative value and limitations of the ubiquitous ‘health security’ frame in global health governance.